So Canada is asking Israel, a resource-poor but knowledge-rich country, to show it how it’s done. According to Compass, a consulting firm, Tel Aviv is ranked fifth in the top start-up cities, while Toronto comes in at just 17th. To move up that list, Wynne’s government is going on a full-scale push to attract Israelis. 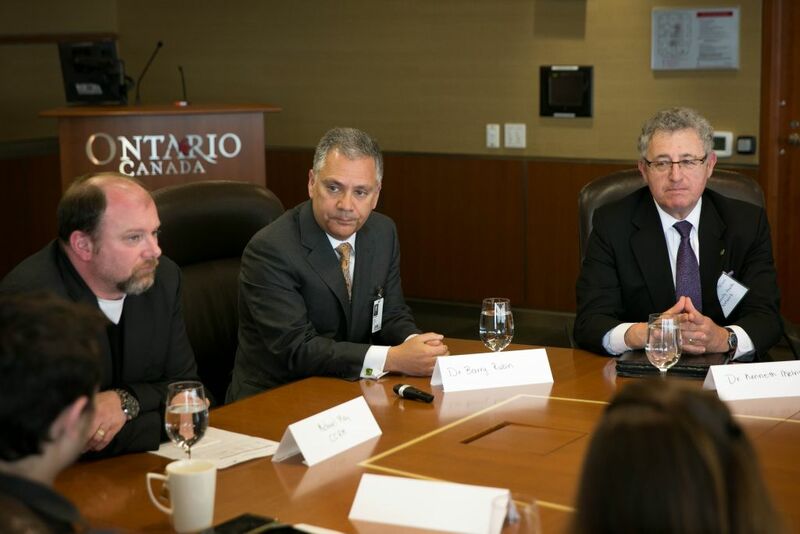 In May, the Ontario government brought a handful of Israeli journalists, including this one, to Toronto in order to meet with officials from the provincial government, local businesses and area universities. Later in the month, Wynne, along with a group of over 100 industry, academic and political leaders, also traveled through Israel on a two-week visit during which they signed contracts with Israeli companies and announced a variety of new initiatives and partnerships. “We didn’t have to beat the bushes to get people to sign on for the trip,” Wynne said. Though Israeli political leaders constantly warn of the looming threat of boycott, divestment and sanctions against the Jewish state, the issue the delegation appeared to address was not encouraging Canadian companies to take an interest in Israel, but encouraging Israeli companies to take an interest in Canada. Canadians, it seems, are interested in working with Israel; it’s Israelis who are less interested in Canada, according to Henri Rothschild, the head of the Canada-Israel Industrial Research and Development Foundation, which works to bring together Canadian and Israeli companies by offering grants of $400,000 on average. “We realized our problem in bringing Canadians and Israelis together was not going to be in Canada. Initially we thought Canadians don’t know much about Israel, there might be biases or it might not be a natural place,” Rothschild said. “In 20 years, I have to say, I have only once had a Canadian prospective partner tell me they wouldn’t want to work with Israel,” he said. “However, in Israel, I found many more who said they wouldn’t want to work with Canada,” Rothschild said, explaining that Israelis see Canada as the “B-team” compared to the United States. Despite that apparent Israeli bias against Canadians, during Premier Wynne’s visit some $140 million in business deals were signed, according to the delegation, alongside renewed and expanded collaboration agreements between Canadian and Israeli universities. 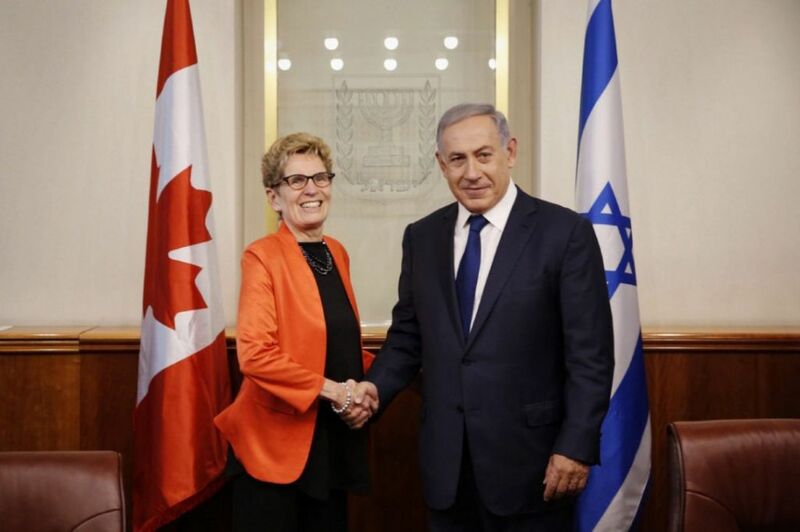 Wynne also met with a number of Israeli politicians, including Prime Minister Benjamin Netanyahu, though those meetings were almost entirely overshadowed by the political upheaval that was rocking Israel at the same time. “Israel is one of the top innovation economies in the world, and a priority market for Ontario. Israel and Ontario are both leaders in the fields of research, innovation, and life sciences, making us natural partners,” Wynne said after meeting with Netanyahu. Most of those contracts, however, were worked out long ago. Those initiatives were similarly agreed upon long before the delegation’s plane touched down. Some networking and impromptu contacts may be made, but the visit may have been more of a public show than a business-only trip. 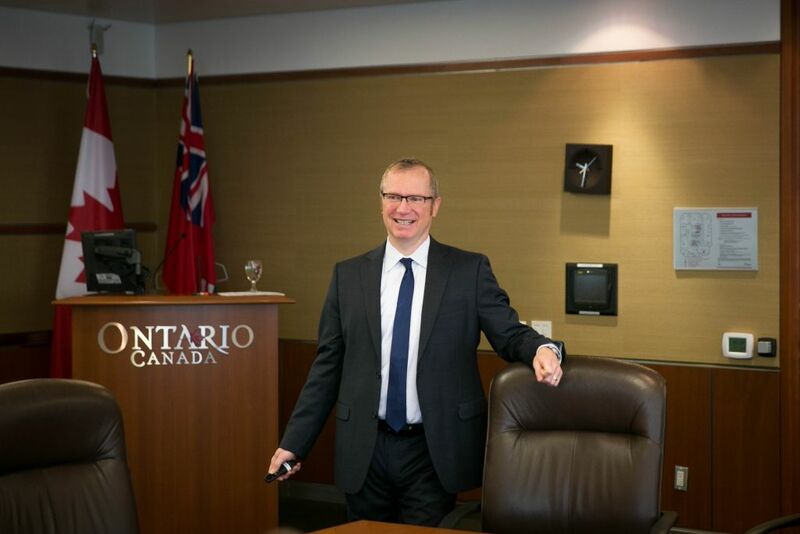 When it comes to starting businesses — generating so-called seed capital — Canada has been successful, according to Bill Mantel, an assistant deputy minister in the Ontario government’s Ministry of Research and Innovation. “There’s always a few places in the top tier, then there’s a big gap and then there’s the second tier. We’re at the top of that second tier,” Mantel said. But when it comes to turning those little start-ups into full-blown corporations, Canada has had less success, he said. 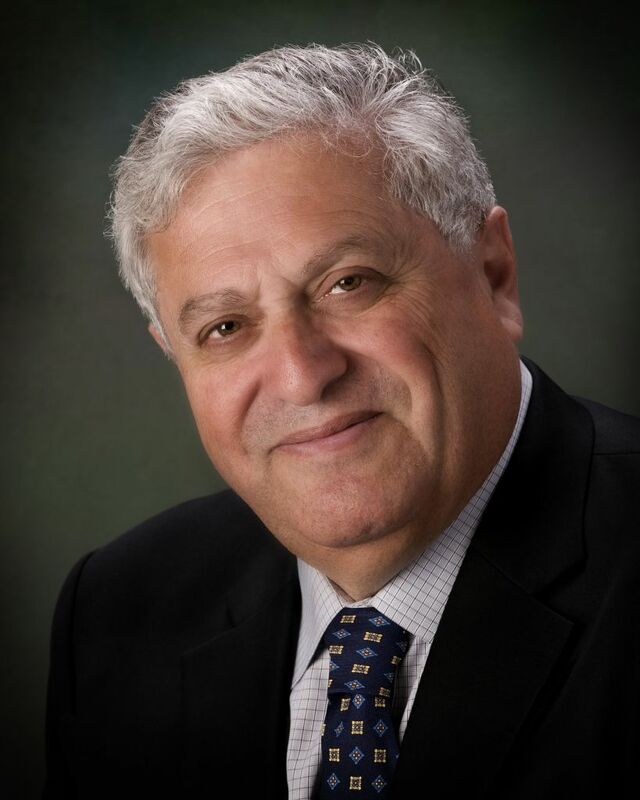 “Canada has tremendous expertise in generating the knowledge, but we’re not as good as Israel at commercializing and bringing things to market,” Dr. Barry Rubin, a leading vascular surgeon and Canadian medical leader, told Israeli journalists, specifically referencing the country’s biomedical innovations. This sentiment was repeated by many industry and government representatives. 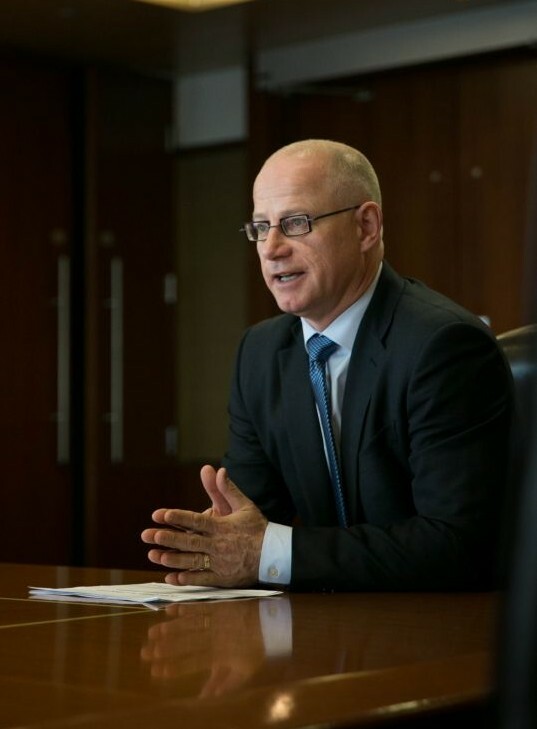 “Israel is a country that has thrived by focusing on innovation, and that’s something that Ontario aspires to be like,” William Charnetski, Ontario’s chief health innovation strategist, said. “Countries that innovate thrive; those that don’t do not,” he added. Part of the problem comes from an ongoing struggle to encourage venture capital, according to David Shore, a representative from the Israel-based OurCrowd company, which uses crowd-funding to raise capital for burgeoning companies. In 2015, Canadians invested $1.7 billion in venture capital, according to the Canadian Venture Capital Association. During that same time period, Israeli tech companies raised $4.43 billion, Shore said, quoting figures from the Israeli Venture Capital Research Center. But it wasn’t always so. In the late 1990s, when the tech bubble was in full swing, Canadians also jumped at the chance to make money off this new thing called the internet. When the so-called dot-com bubble burst, so did the interest of Canadian venture capitalists, Shore said. “We went from 75 active VC firms in the country to 10. Things really fell apart,” he said. It’s not that Canadians are risk-averse per se. Canada’s economy is built on risky investments in natural resources, paying to drill in lots and lots of places in the hope of striking oil or discovering a mineral deposit. To combat this, Shore cited tax incentives and other financial tools as possible ways to encourage investment in technology and science. “People say there’s no risk appetite in Canada. There is a lot — it’s just pointed in the wrong direction. There is capital available,” he said. Ontario, and Toronto in particular, has set itself up as a hub for biotechnology start-ups and research, especially those related to stem cells and neurodegenerative disorders, like Alzheimer’s or Parkinson’s diseases. 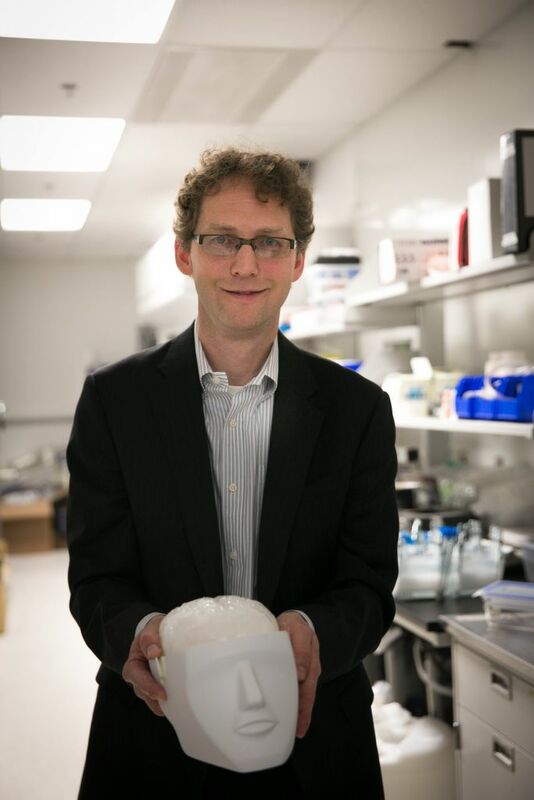 “Toronto is in the top one or two or three, depending on how you measure it, in regenerative medicine,” Mantel said. Much of that push is centered around one building: MaRS. 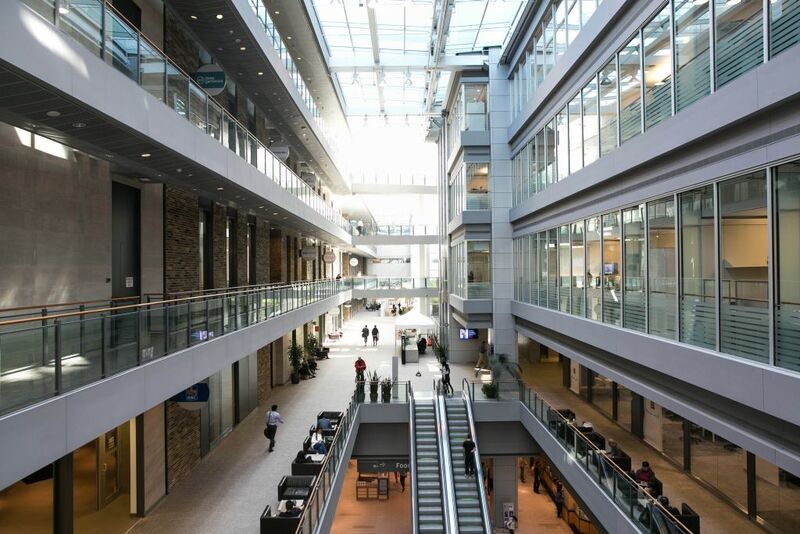 The MaRS Discovery District — so-named for its focus on “medical and related sciences” — is a not-for-profit corporation that funds research and helps scientists commercialize their findings and products. It’s located in downtown Toronto, surrounded by local hospitals, and was built around a former wing of the city’s old general hospital. MaRS is just a five-minute walk from the University of Toronto and sits around the corner from the Ontario Brain Institute, a government-funded center that brings together scientists and doctors researching everything from ADD in children to depression to dementia. MaRS has ties — both geographic and professional — to local hospitals, research institutions and universities, and acts as an incubator for biotech companies, helping them grow from tiny start-ups to fully developed businesses, according to the Israeli-born Gal Sela, whose medical imaging company Synaptive Medical started there with a handful of people and now employs hundreds. The Toronto Stock Exchange (TSX), which is dominated by resource companies, has also started shifting to better accommodate tech companies, venture capitalist Isaac Maresky told The Times of Israel. Maresky, a young rising analyst for the Sunel Securities investment company who has strong personal ties to Israel, compared his first attempt at bringing a biotech company, BriaCell, into the stock exchange in 2014 to the process of taking the Israeli Vaxil BioTherapeutics to a now more tech-focused TSX in 2016. A few years ago, Vaxil Bio garnered a little too much fanfare for its cancer treatment, which was prematurely hailed as a “universal vaccine” that would prevent 90% of cancer types. The company’s vaccine is still in the research stage and though it shows promise in targeting a protein present in 90% of tumors, a universal vaccine remains “a bit of a stretch,” Dr. Jeffrey Schlom told the Atlantic magazine in 2012. Once the stock exchange approved Vaxil, the more technologically aware TSX of 2016 also made sure the Israeli biotech company felt welcome and wanted, Maresky said. On March 21, Vaxil was invited to ring the exchange’s opening bell. 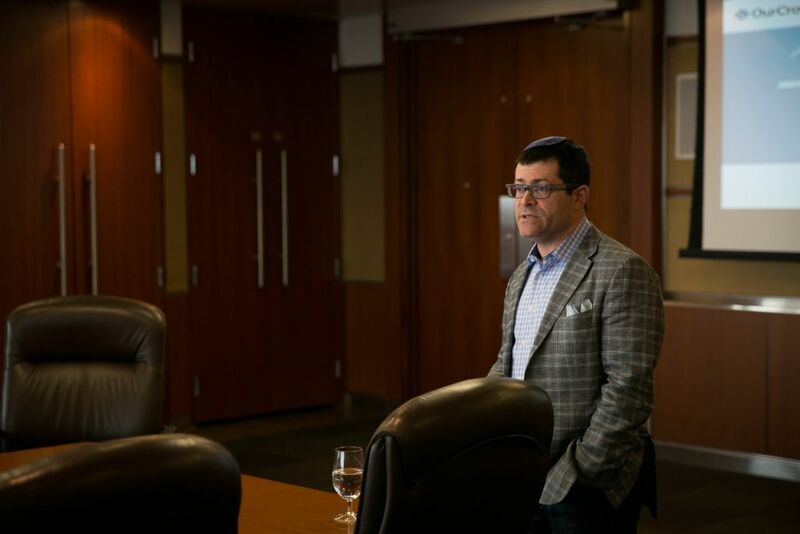 That day the Israeli company was joined the Consul General to Toronto DJ Schneeweiss, bringing some official support for the Israeli-Canadian collaboration. “The TSX has made strides in shifting away from a resource-centric exchange, to an exchange with a robust group of successful biotech and tech companies, one companies like Vaxil should be excited about listing on,” Maresky said. The stock exchange noted it hoped more Israeli companies would join Vaxil, he said. 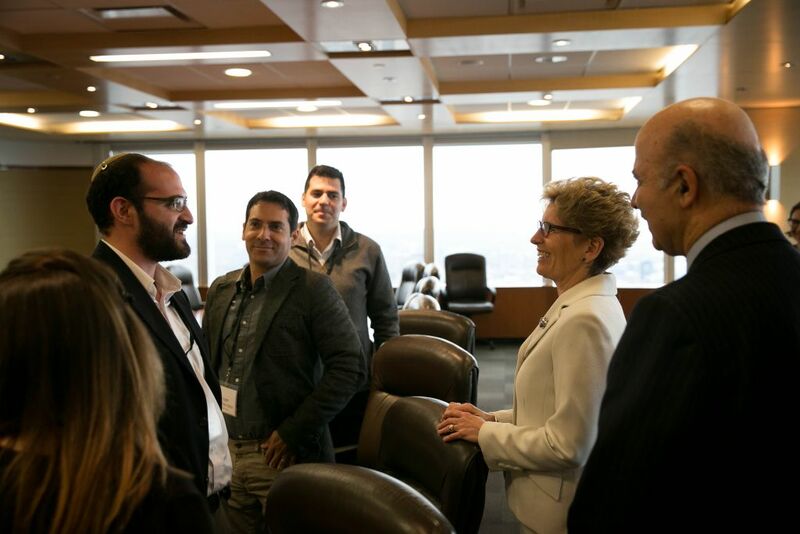 A representative for the Toronto exchange, Graham Dallas, the head of business development for Europe, Middle East and Africa, also joined Premier Wynne’s delegation in an attempt meet with Israeli companies and their investors. For the Israeli immunotherapy company, the Toronto Stock Exchange served as something of a stepping stone between the massive New York Stock Exchange and the tiny Tel Aviv Stock Exchange, where the company had languished for years, Maresky said. Though Vaxil was the first Israeli biotech company to go public in the Toronto Stock Exchange, it’s hardly the first Israeli company to do business with Canada. Last year, one of the largest construction companies in Canada, EllisDon, partnered with a subsidiaryof Israel’s Rafael Advanced Defense Systems to adapt the algorithms in the Iron Dome anti-missile battery to create a “smart grid” for Canada’s electricity needs. The algorithm that was once used to track missiles will now monitor energy consumption across the electricity grid to make the system more efficient. The deal between the two massive companies was coordinated by the Canada-Israel Industrial Research and Development Foundation, which also gave a nearly NIS 3 million ($750,000) grant to kickstart the project, Rothschild said. 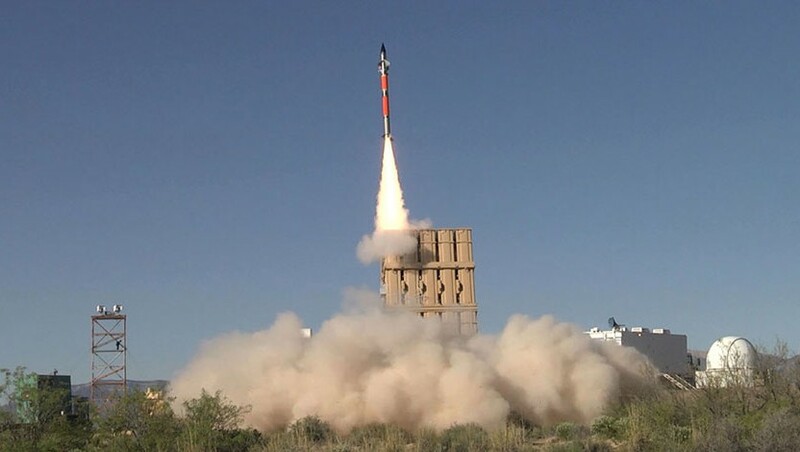 “This is an application of Israeli defense technology into the civilian sector in a big, big way with the Iron Dome,” he said. In addition to their business ties, the Jewish state and the Great White North have been close diplomatic allies for decades. Stephen Harper, who served as prime minister of Canada for nearly a decade, helped bring the two countries even closer, offering unwavering support for Israel during his tenure. When the more liberal Justin Trudeau was elected premier late last year, some in Israel and in Canada expressed concern that the country’s support for Israel may waver — fears Trudeau and his government have worked to dispel.